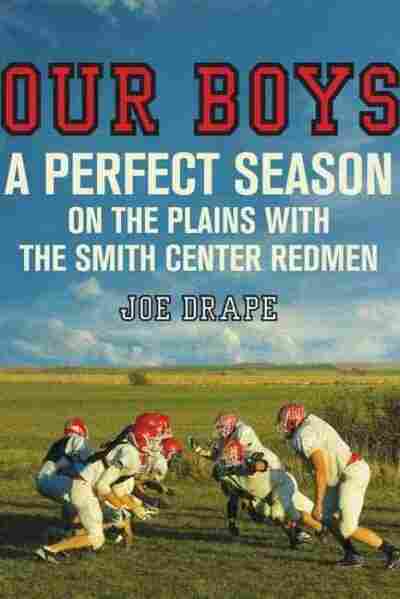 Book Review: Our Boys: A Perfect Season on the Plains with the Smith Center Redmen In Our Boys, Joe Drape follows a small-town Kansas football team on their quest for a fifth-consecutive perfect season. An emotional celebration of Great Plains values, Our Boys does for football what Hoosiers did for hoops. More than a hundred years ago, Ambrose Bierce defined an academy as "a modern school where football is taught." He was prescient. Football has become the most popular sport, in terms of participation, among students. An engine of aspiration, it can turn a varsity letter into a college scholarship. Even more importantly, boosters boast, the game instructs stars, scrubs and spectators about competition and cooperation, dedication and discipline. And so, if you want to understand American values, you'd better know something about football. 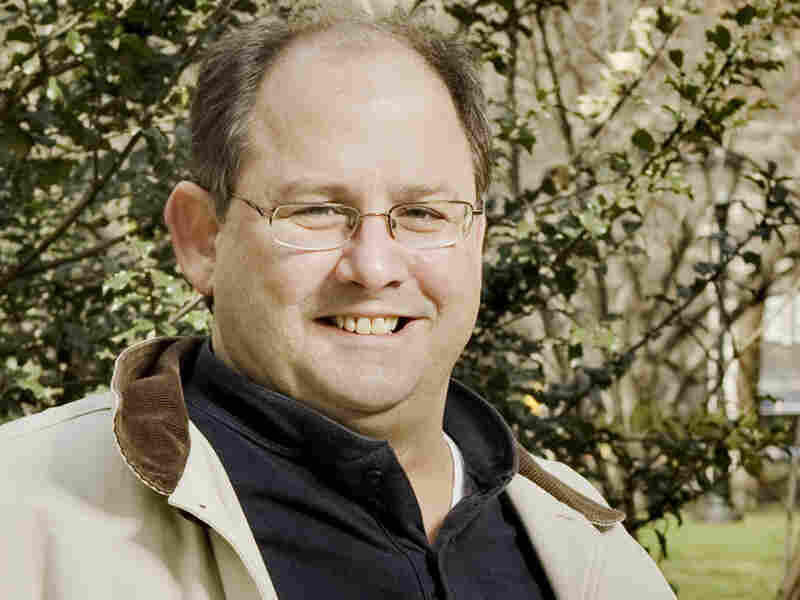 High schools, journalist Joe Drape demonstrates, are the best place to start. In Our Boys, he follows the Redmen of Smith Center, Kan., (population 1,931) on their quest for a fifth-consecutive undefeated season. A celebration of small-town values, Our Boys does for football what Hoosiers did for hoops. "It's about the journey," coach Roger Barta says. Although they live in the fifth-poorest county in the state, Barta wants his boys to "dream big." Playing the game is easy, he proclaims, "but living for others is a lot harder." Kansas City, Mo., native Joe Drape moved with his family to Smith Center, Kan., to chronicle the Redmen's quest for a fifth-consecutive undefeated season. Drape reveres Barta as a soft-spoken bear of a man, "with a touch of Yoda-like wisdom." He manages, just barely, to rescue him from sainthood and sanctimony. If they perfect the proper techniques, Barta tells his players, the risk of injury will be substantially reduced. "In fact," Barta counsels, "it's 31 times safer to play football than it is to drive a car." Because Barta had been a math teacher, Drape suggests, tongue firmly in cheek, no one doubted his veracity: "He would utter similar absolutes without really knowing — or caring — if they were 100 percent true." Barta's most difficult challenge, Drape demonstrates, in the most emotional sections of an often emotional book, involves repairing the relationship between Colt Rogers, the Redmen's running back, and assistant coach Mike Rogers, his dad. Barely 5-foot-3 and 135 pounds, Colt is a classic overcompensator, while Mike tries too hard to prove he isn't playing favorites. During the season, life in Smith Center got a little more exciting. The "Bladder Fills Club" at the Second Cup Cafe talked about Redmen football in the mornings and at night. Cafe owner Lynn Pickel and her all-woman staff "followed and fed" the players — and seemed to know, before anyone else, who was injured and who was in Coach Barta's doghouse. A Midwesterner himself, Drape captures the fervor and sincerity of gung-ho localism. And, shucks, it's infectious. For Smith Center citizens, "being there" for the young men in the community really is a joy and a responsibility. Who knew, Drape asks, that Christmas lights on a forklift in a gravel parking lot on the night of the state championship "could light up the plains of Kansas and warm the hearts of its people?" Well, the folks in Smith Center know it. And, so, too, will readers of Our Boys. We were sitting in a locker room that smelled like it had hosted a couple of generations of teenage boys, and Roger Barta was telling me about the high school football program he had built in this town that he loved: Smith Center, Kansas. He was sixty-two years old and wore a red T-shirt that puffed out like a tent over a beach ballshaped belly. Coach Barta's gray nylon shorts were baggy and hung down to his knees, concealing tree-trunk-sized thighs, his red visor accenting his gray brush cut and silver walrus moustache. His sunglasses hung from a rope and fell atop his stomach. He resembled the actor Wilford Brimley, especially when he spoke in his not-in-a-hurry-honey baritone. He was proof that inspiration comes in all kinds of packages. Coach Barta was a legend in western Kansas, or so I was told over the course of a three-day visit in November 2007. I was here for the New York Times to write about his football team, the Smith Center Redmen. Just a week earlier, his team had scored seventy-two points in the first quarter of a game, breaking a national record set in 1925. He was amused that I was in his football complex, having told me the day before by phone (and with a chuckle) that Smith Center was harder to get to than one might think. He was right. I flew into Kansas City, drove north for an hour to St. Joseph, took a left at Highway 36, and traversed the old Pony Express route for four hours through northern Kansas. When I checked into the Buckshot Inn in Smith Center, I was told I was lucky to get a room, seeing as it was the opening days of pheasant season and the town's population of 1,931 had swelled with outdoorsmen from the big cities. When I dropped my bags inside, a sign above my bed carried the stern instruction: hunters, please don't clean your birds inside this hotel room. By the time I had driven down Main Street and parked in front of the Second Cup Cafe, I, too, was amused about being here in the heart of America. In fact, I'd soon discover that Smith County was the dead center of the continental United States and had a monument saying so twelve miles east of here, in Lebanon, Kansas. The county's most famous contribution to Americana came in 1873, when Dr. Brewster Higley wrote a poem in a cabin here that evolved into the song "Home on the Range," which is now a staple of patriotic songbooks as well as the state song of Kansas. Outside, above Main Street's wide sidewalks, loudspeakers piped in easy-listening music. "The Girl from Ipanema" was playing. Inside the Second Cup Cafe, every table was filled, as uniformed sheriff's deputies mingled with shirt-sleeved businessmen, and a table full of ladies nodded their hellos to farmers in overalls and gimme caps. No one wore a tie. It was clear that everyone knew everyone here. Once I identified myself and my reason for being in town, the room seemed to relax, and the stories about "our boys" began to unfold. Everyone in the Second Cup, it seemed, had a son or nephew or grandson on the Redmen, but the tales they shared had little to do with their performance on the football field. Later that afternoon in his office, Coach Barta was telling me something that I have heard for years from some of the biggest names in college sports, guys who make millions of dollars a year and are featured in television commercials and write motivational books. Coaches talk a good game, especially in the college ranks, where they have to persuade Momma and Daddy to send Junior to their programs. High school coaches, on the other hand, tend to come in three varieties. They are either slick, rah-rah sorts; profane hard guys; or overwhelmed and learning on the job. Coach Barta was none of the above. He was a bear of a man but plainspoken with a touch of Yoda-like wisdom on his tongue. "What we do around here real well is raise kids," he explained. "In fact, we do such a good job at it and I'm talking about the parents and community that they go away to school and succeed, and then pursue opportunities in the bigger cities." "None of this is really about football," he said. "We're going to get scored on eventually, and lose a game, and that doesn't mean anything. What I hope we're doing is sending kids into life who know that every day means something. "Sure, we like our football around here," the coach concluded. "But we truly believe it takes a whole town to raise a child, and that's worth a whole lot more." After I returned to New York and published my story, I found my thoughts frequently returning to Smith Center. I am a native of Kansas City, Missouri, and though I have not lived there in thirty years, I have always counted myself as a midwesterner. My visit to north-central Kansas had validated that view. I had also clicked with the school's principal, Greg Koelsch, and its athletic director, Greg Hobelmann, as well as Coach Barta. I understood their plain speaking and recognized in the young Redmen's "yes, sirs" and "no, sirs" an upbringing much like my own. They struck me as people who woke up each morning intending to make whomever they came across have a better day. Quite simply, I liked them. Coach Barta, too, was someone worth examining more closely. Legends usually are, especially those who seem to stand for the right thing and are far away from the limelight. Coach Barta had already retired from teaching math at the high school, and there was a sense around town that he might quit coaching very soon. He hadn't told anyone his plans, and the consensus was that when the time came, he would end his coaching career with the suddenness of a game-day decision. Coach Barta had built a successful football program, a revered tradition, and, I suspected, a thoughtful worldview out on the plains of Kansas. I also was a new father; my son, Jack, was two years old and was a happy little resident of Manhattan. So was I. Still, it bothered me that he had to trick-or-treat in an apartment building and when we returned to the Midwest for visits, he would see my brother's yard and say, "Look, Daddy, Uncle Tom has a park." Meanwhile, the Redmen had won their championship, sweeping through the playoffs for their fourth consecutive state title. Their winning streak now stood at fifty-four games. One more perfect season meant that Smith Center would own sixty-seven consecutive victories and five straight titles, both of which would be records for the state of Kansas. My wife, Mary, was a Chicago girl and counted herself a Middle American. We thought, why not try to revisit our midwestern roots? Who doesn't need help raising children? Maybe a season of small-town living might show us a better way. Even if this merely was a midlife crisis, it might be an interesting one. When I told Coach Barta that I intended to relocate to Smith Center and write a book about the town and the Redmen's 2008 season, he chuckled as he had during our fi rst conversation by phone. "You know, Joe, we lost twelve seniors and we're really not going to be very good," he said, not altogether convincingly. When I responded that if they lost, it might be better for the book's narrative, the coach in Coach Barta, the part that didn't like losing, fl ashed ever so slightly. "I don't see how that can be," he said. "I do tell our boys it's about the journey," he conceded. "We look forward to seeing you back here," he said, "and I promise you'll have the run of the place." 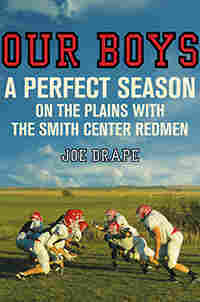 Excerpted from Our Boys: A Perfect Season on the Plains with the Smith Center Redmen by Joe Drape. Copyright 2009 by Joe Drape. Excerpted by permission of Times Books. All rights reserved. No part of this excerpt may be reproduced or reprinted without permission in writing from the publisher.